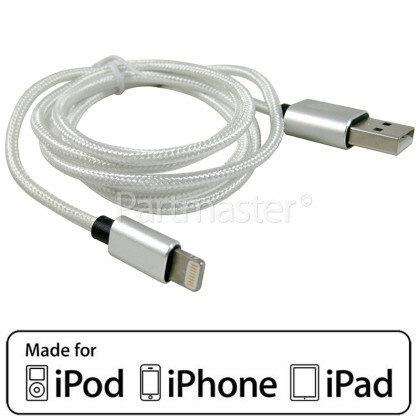 Keep your iPhone, iPad and iPod connected, charged and synced with this 1m Lightning Cable! The primary purpose of the Lightning Cable is to charge your device and to sync it with your computer. You can connect the lightning cable to a USB power adaptor or directly into a USB-enabled wall adaptor to charge your device fastest. 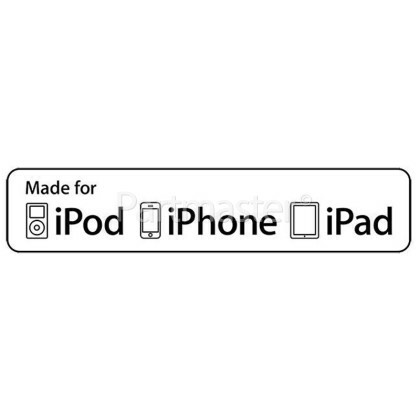 This cable is MFI Approved (“Made For i-Phone”) which means it has been designed to connect specifically to iPhone's, iPad's or iPod's and has been certified by the developer to meet Apple performance standards. 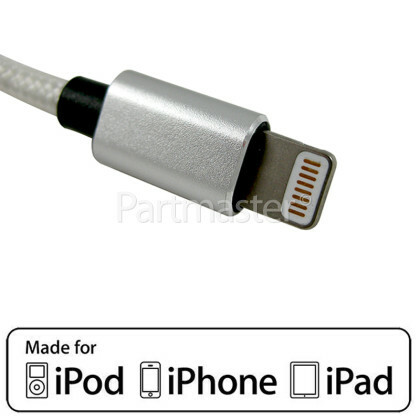 Inside the cable is a tiny authentication chip that tells your device it’s Apple MFI Certified. This is important because non-certified lightning cables can be very dangerous to your device. One of the biggest advantages of the Lightning Cable is its design; which lets you insert the cable into your device in any direction. Unlike other standard micro-USB cables you don't have to eye the port and line up the sides to make the cable fit. With a 1m length this cable is perfect for connecting your Apple device to hard-to-reach power or USB ports. Simply plug the 1m Lightning Cable into your mains adaptor to charge your device, or directly plug into a computer to sync with iTunes.